PINK! Nature’s foremost harbinger of spring is here to delight and enrapture us once again. Cherry blossoms and redbuds are among the first to awaken our eyes and our senses from the monotone slumber of winter. A splash of gorgeous pink can do the same for your home! 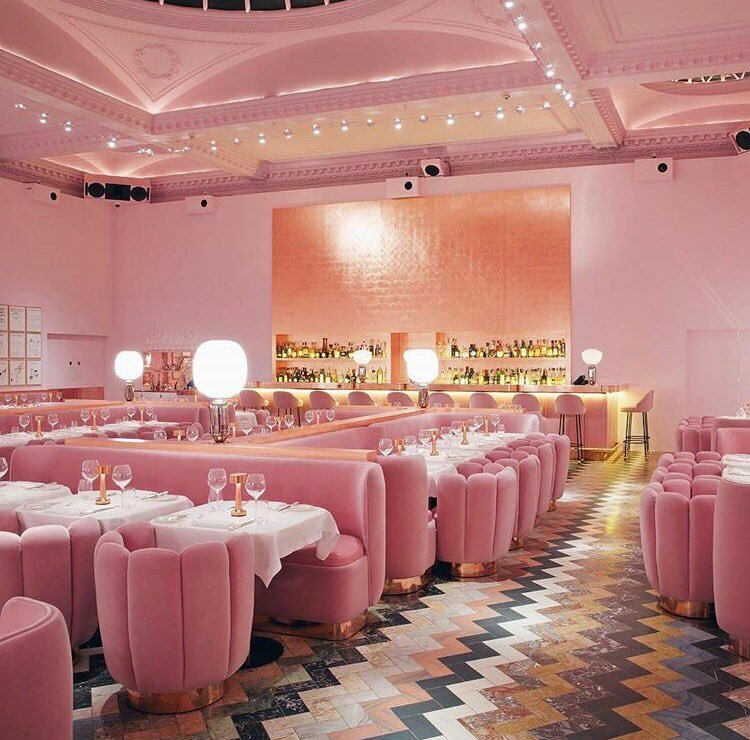 As an interior design element pink is an amazing utility player, it can show off and take center stage as it does at Sketch Bar in London (@sketchlondon - swooning over that floor! ), or provide a luxurious and sophisticated compliment utilizing features like the elegant dusty rose accents and drapes shown here by @mika_it (Egorova Marina Interiors). This stunning gown from @sherrihill is currently serving as an inspiration piece for one of my clients at Susan Semmelmann Interiors, because after all, interior design is simply haute couture for the home, a beautiful collaboration of complementary art forms. The end result of this vision will be a bedroom space with an upscale nod to shabby chic in pale pinks and antique whites. Stay tuned to the blog for my future reveal! With 23 years of experience in the Ft. Worth interior design and Ft. Worth construction detailing markets, I am passionate about this community and about helping you realize your dreams and visions for your home. Maybe now you’ll be dreaming in shades of pink!